Debut album, “Longing,” from the vocalist who found refuge in song after running from Communism and a heartbreaking marriage, will be released March 25. Solana Beach, Calif. (24 February 2014): As a child, Anna Danes escaped Communist Poland and as an adult, she found the strength to move on from an unhappy marriage. Both times, she found solace by singing. Love songs in particular soothed her dampened spirit while she idyllically longed for freedom and romance. Lacking support and encouragement for her artistic pursuits, Danes, armed with the Great American Songbook, found empowerment in a San Diego-area recording studio where she worked with producer Larry B. White, three-time Grammy-winning engineer-mixer Steve Churchyard and an ensemble of noted session players to record “Longing,” her debut album that will be released March 25 on DLG Recordings. In the late 1970s, Danes fled Poland with her parents. After being turned away by Sweden, they immigrated to Ottawa, Canada where the young girl suddenly forced to learn English felt alone and isolated. She sang in a Polish church and it brought a sense of comfort and belonging. Flash forward: after giving up a successful law practice to move to California to be with her future husband, Danes found herself in a marriage that had lost its shine and stifled her creative endeavors. As her self-confidence began to wane, she rediscovered singing and started to come alive. The recording project was liberating and a life-altering experience, but in order to fully embrace the freedom she found in song, she had to dissolve the relationship for good. Perhaps the most emotionally-charged performance on “Longing” appears on the disc’s closing number, “I Wish You Love.” While recording the poignant farewell, tears streamed down Danes’ face as she sang, symbolically saying goodbye while wishing her now ex-husband love. “Longing” showcases Danes in lush acoustic vocal jazz settings surrounded by White’s piano, upright bass (Bob Magnusson and Rob Thorsen), horns (John Rekevics and Scott Hecker), guitar (Mark Chosak), drums (Kevin Koch), percussion (Monette Marino) and the Heart Strings Quartet. White freshly arranged ten standards including Jobim’s “Meditation,” Cole Porter’s “It’s All Right With Me,” Edith Piaf’s “La Vie En Rose,” Ray Noble’s “The Very Thought of You” and more modern material such as George Harrison’s “Something” and Charles Fox & Norman Gimbel’s “Killing Me Softly.” The session includes a pair of originals, “Sweet Valentine” and “The Sun Won’t Shine Today,” composed by White with lyrics by Margaret White. With the sad days behind her, a radiant Danes appears glowingly on the cover of “Longing” gazing out at sea with a slight smile on her face. She is excited about the future again and what it may have in store. Living in North San Diego County with her young daughter, Danes exudes enthusiasm when discussing her unexpected new career as a jazz singer. She plans to continue singing – both on record and performing live – while keeping her heart open for love. For more information, please visit www.AnnaDanes.com. No. 1 single will appear on the “Soul Stories” album coming this summer. Aliso Viejo, Calif. (20 February 2014): Guitarist Blake Aaron is still tucked away in the recording studio tinkering on his forthcoming fifth album, “Soul Stories,” yet he’s already topped the charts with a single from the session. 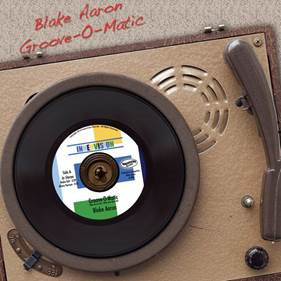 Aaron’s cool electric jazz guitar dances to a retro ‘70s disco groove aided by big vibrant horn blasts on “Groove-O-Matic,” which has spent the last nine weeks at No. 1 on the Groove Jazz Music chart and entered the Billboard Smooth Jazz Songs Top 5. “Groove-O-Matic” is the second single to hit the charts from the album slated for release this summer on Innervision Records. Jazz crooner Spencer Day was featured on “You’re The One For Me,” which reigned in the Top 10 for 20 weeks. The first album Aaron has produced on his own, “Soul Stories” is a collection of soulful jazz, funk and Latin grooves and includes an appearance by urban jazz saxophone star Najee. “’Soul Stories’ is literally the musical story of my soul. It’s been a long-time coming and spans the journey of my marriage and the birth of my two children. It’s my first CD that is entirely self-produced, my biggest radio and commercial success to date and has been nicknamed our ‘Third Child.’ I’m very proud of the record and look forward to performing it live,” said Aaron, who will perform tracks from the disc with his band and special guests this Saturday night at Spaghettini in Seal Beach, Calif. Hailed by the Los Angeles Times as “a genius on the guitar,” Aaron pours passion and precision into his fretwork. Emerging from the studio where he was an in-demand session player and stepping out of the shadows after being a long-time sideman, Aaron launched his solo career with 2001’s “With Every Touch” containing appearances by contemporary jazz stalwarts Eric Marienthal and David Benoit. Singles from the debut album as well as from subsequent releases – “Bringin’ It Back,” “Desire” and “A Romantic Christmas” – have always been favorably received at radio and charted well nationally. Since 2008, Aaron has hosted the internationally syndicated “The Blake Aaron Radio Show” that he describes as an “artist to artist show” on which he jams live on the weekly program with guests that have included Anita Baker, Kenny Loggins, Brian Culbertson, Boney James, Peter White, Rick Braun, Mindi Abair, Earl Klugh, Lee Ritenour, Nathan East, Paul Jackson Jr., Jackiem Joyner and Jessy J. His resume includes playing on and composing music and theme songs for films and popular television series such as “MAD TV,” “The Ben Stiller Show,” “Super Dave Osborne” and “The Jamie Kennedy Experiment.” Additional information is available at www.BlakeAaron.com. 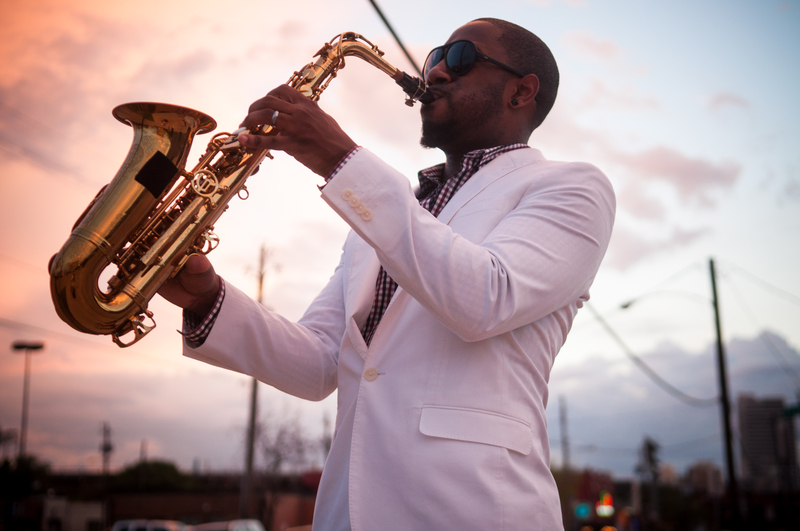 Sherman Oaks, Calif. (19 February 2014): As a young turk on the contemporary jazz scene, saxophonist Jackiem Joyner is far from complacent and staid in his sound and style. Not afraid to challenge the fan base that took him to No. 1 twice and Top 3 two more times on the Billboard chart, Joyner gets adventurous on his fifth album, “Evolve,” which will be released April 29th by Artistry Music/Mack Avenue Records. It’s his first on which he wrote and produced the entire set, including the first single going to radio in mid-March, “Generation Next,” an up-tempo urban-pop track with vibrant flashes of strings that provide a contrast to Joyner’s gentle melodic sax. Juxtaposing invigorating otherworldly sonicscapes under tender sax melodies, “Evolve” is a dynamic, highly-rhythmic session that is unpredictable laced with traces of the familiar. Listening will take you to a different place while defining Joyner as a musician and a writer beyond what we have already heard from the chart-topping rhythm and groove guy. The imaginative new set has a greater purpose with the introductory single, “Generation Next,” serving as “a declaration that the next generation of jazz musicians is here to stay. Music evolves, including jazz. All types of sound evolve. So do people and our imaginations. That is what I tried to put on tape. ‘Evolve’ captures the changes in my musical mind and how I have evolved as an artist. Rather than fitting in with the traditional, I’m bringing the audience along with songs that unfold over different and interesting soundscapes even as I move towards a live organic sound,” explains Joyner. In addition to playing alto and soprano sax on the record, Joyner is a multi-instrumentalist who played many of the instruments heard on the collection along with a couple of high-profile assists from Grammy-nominated sax player Gerald Albright and internationally-renowned keyboardist Keiko Matsui. The collaborations are noteworthy for different reasons. When Joyner was in high school, Albright was his idol thus dueting with him on “Big Step” was a thrill. Joyner tours in Matsui’s band when not performing his own dates and wrote “Europa” with her mind. On a few tracks, he was joined by his touring band – guitarist Kayta Matsuno, bassist Tim Bailey, keyboardist Bill Steinway and drummer Raymond Johnson – to record live in the studio. 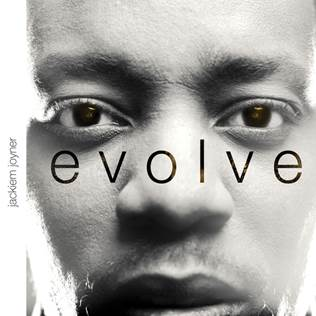 “Evolve” marks a return for Joyner to the contemporary jazz-urban instrumentals for which he achieved notoriety on his first three albums after 2012’s “Church Boy,” an offering that landed on Billboard’s Jazz Albums and Top Gospel Albums charts. Joyner was named Debut Artist of the Year for his 2007 debut, “Babysoul,” by Smooth Jazz News. His sophomore set, “Lil’ Man Soul,” registered a pair of No. 1 Billboard hits with “I’m Waiting For You” reigning for 12 weeks and winning Song of the Year honors at the 2009 American Smooth Jazz Awards. Two singles from Joyner’s self-titled third record climbed into Billboard’s Contemporary Jazz Songs Top 3. He’s toured the world extensively in support of each release and anticipates a busy year of touring in 2014 – both with his own band and with Matsui. For more information, please visit www.JackiemJoyner.com and www.facebook.com/jackiemjoyner . 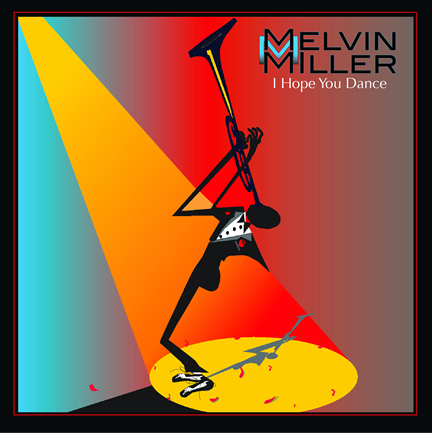 Melvin Miller is a talented trumpet player with the ability to engage and entertain audiences in a style like no other. Having been influenced by legendary musicians such as Miles Davis, Louis Armstrong, and Dizzy Gillespie, Miller has crafted his own sound. Being versatile is one attribute that makes Melvin so appealing. He can play everything from Jazz to R&B to Pop. His career in music is vast and worldwide. 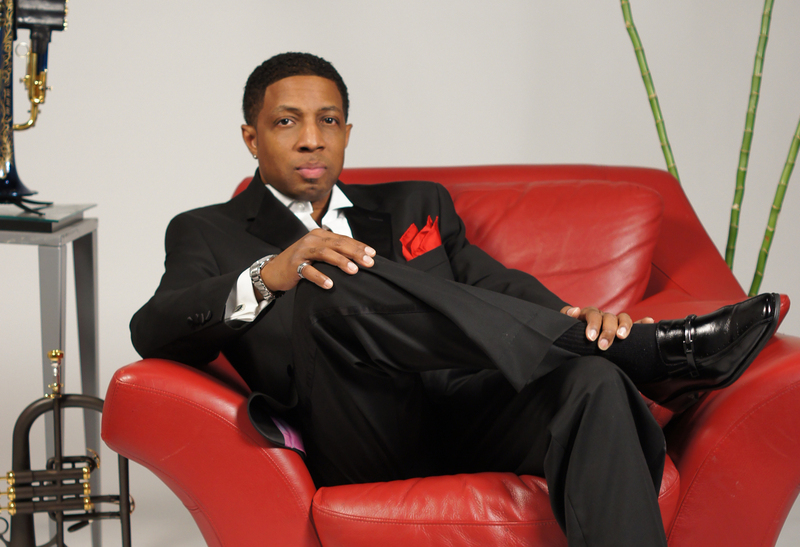 Melvin is the composer of the fanfare for The Trumpet Awards, has performed with the UniverSoul Circus, and has served as the musical director for Gloria Gaynor. It is no surprise that he has also shared the stage with dynamic artists such as Alex Bugnon, Eric Essix, James Brown, and Wynton Marsalis just to name a few. Residing in Atlanta has opened the door for Miller to become the fifth man of the group Five Men On A Stool–an experience he shares with fellow talented musicians. In the midst of all that he’s a part of, Melvin still creates great music. To his loving mother, he is the “young man with a horn.” And this title has followed him throughout his life. As a tribute to his mother, he wrote his latest album, “I Hope You Dance.” Each song has a distinct meaning and direct connection to his mother whom he lost a few years ago. Through the pain and with the help of friends and family, he masterfully created a musical gem. The album has an array of songs ranging from up-tempo, funky grooves to smooth heartfelt tunes. I haven’t experienced another album quite like it. 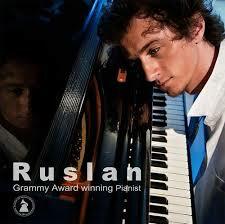 Ruslan’s story is just as incredible as he is a pianist. Fleeing with his family from the Communist Soviet Union to Israel would prove to be the perfect catalyst for his future. He was such a great musician that he was granted a full scholarship to the Berklee School of Music, and it was there that he would learn many valuable lessons about music and life. He accredits his journey for allowing him to explore and be creative. With aspirations and perseverance, he navigated his way around the music scene. It wasn’t long before Ruslan found himself working with the legendary Stanley Clarke. And that was just the beginning. He’s won a Grammy as well as collaborated with George Duke, Marcus Miller, Seal, and Chick Corea. 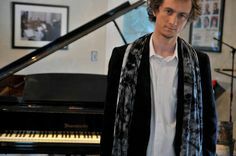 When Ruslan decided to do an album, it was only befitting that he do so on Stanley Clarke’s label, Roxboro Entertainment Group. His debut album, “Ruslan,” has 14 songs–some of which are collaborations. It serves as the culmination of Ruslan’s varying abilities while maintaining authenticity. I find it magical and mesmerizing. Vandell Andrew hails from New Orleans where jazz is rooted and abundant. It wasn’t until he was a teenager attending a summer camp that, unbeknownst to him, his future would be set in motion. He would later lay down the trumpet for the saxophone, and the rest is history. After enduring hurricane Katrina, Andrew relocated to Texas. It was there where his passion was fueled, and music became his life. As always, on the other side of every storm, there is a rainbow. For Vandell, that rainbow was a collection of original music and a debut album titled “Years Later.” He went on to share the stage with jazz musicians such as Kirk Whalum and collaborate with others such as Darren Rahn. He recently released an EP titled “Turn It Up.” And that is exactly what he wants his fans to do: turn it up and enjoy. They have done just that and embraced Vandell’s new music, giving it great reviews. Vandell and I talk about the past and the present. The excitement is in the air for singer, songwriter, poet, and producer, Offiong Bassey. 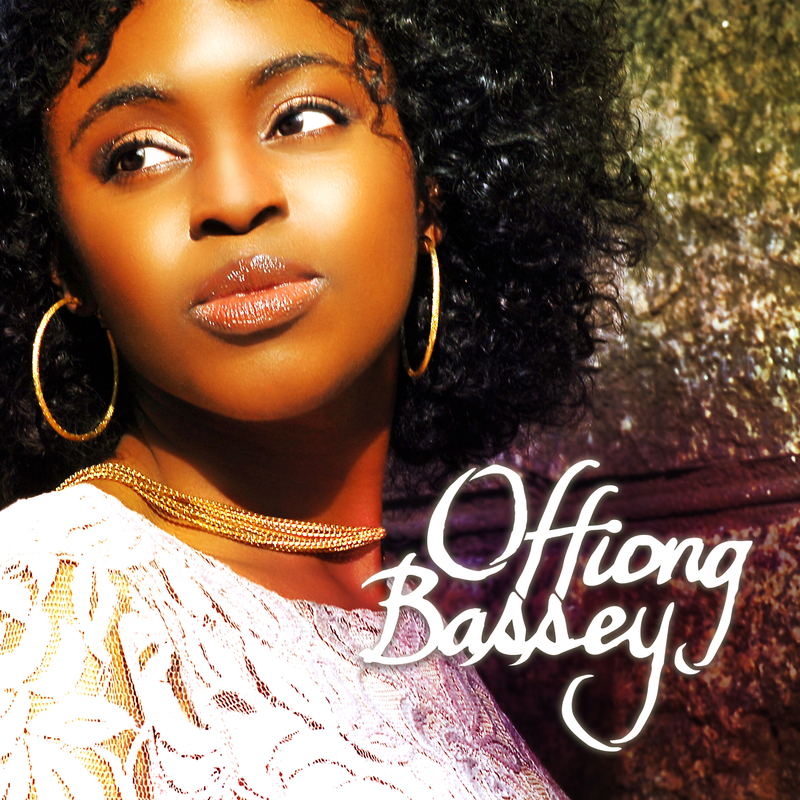 Today, February 4th, her debut self-titled album “Offiong Bassey” will be released. The CD is set to make an impact amongst her fans as well as new listeners. She is a breath of fresh air and possesses an eclectic style that carries over into her music. 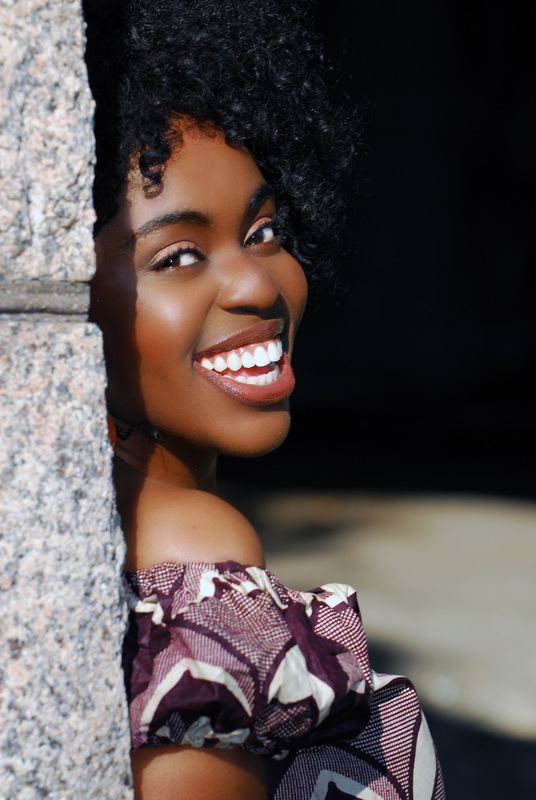 Offiong makes a point to weave her Nigerian heritage and native tongue into the music she writes. She also collaborates with producers and musicians from all over the world to help authenticate the music she creates. Her passion, creativity, and desire to be true to herself makes her music very relevant. Her song “Legitimate Child” will be released to radio and has a significant message. Offiong wants everyone to know that no matter your circumstances or where you come from, you matter because you were made by your creator. She is elated about the endless possibilities in her future and will embark on a tour as well as record an unplugged album this spring. Offiong and I converse as she opens up about her music.